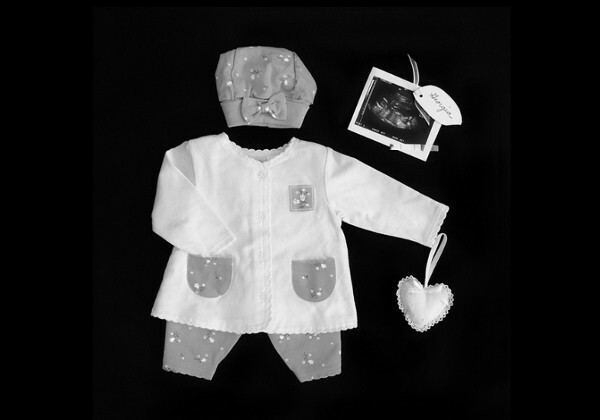 Folded and kept in a white box in Dianne Yudelson’s wardrobe are the treasured keepsakes belonging to 11 lost babies. Babies the photographer yearned for, carried and allowed herself to celebrate – until their lives were cruelly cut short. 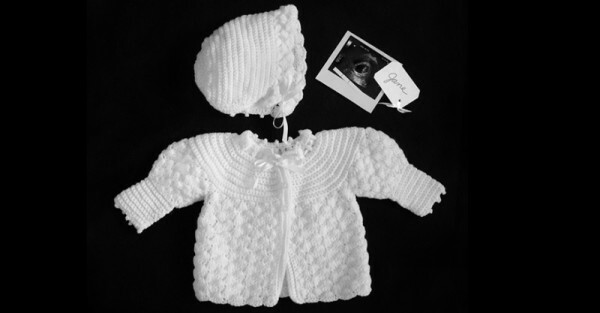 With each miscarriage, Dianne kept momentos including ultrasound images, knitted booties, rattles and diary entries as a reminder of the children she never got to meet. 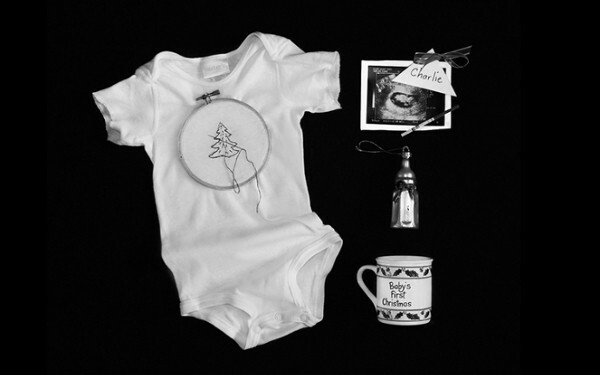 “They are all kept pristinely stored in a white box in my closet, as are the memories of their short lives kept pristinely stored in my heart,” Dianne says on her website. “My series Lost is based on my personal experience. It has been 10 years since my last loss. 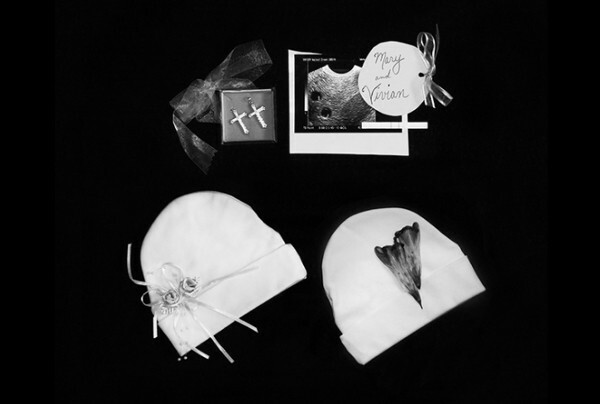 The black and white photographs, while devastatingly sad, are a symbol of the all-too-common occurrence of miscarriage. Dianne wants other women who have experienced the loss of a baby to know they’re not alone while creating her own lasting tribute for her children Jane, Gwendolyn, Robert, Tommy, Violet, Bryce, Jeff, Georgia, Mary, Vivian and Charlie. “I have read the assertion that meaningful art occurs when you share yourself and create from the depths of your soul. So I share,” says Dianne. “Creating this series has both served to honour these precious lives as well as bring a voice to my personal plight. The Californian photographer tells Today Parents that she has had great feedback from so many women who say they’re one of the club – a club they never wanted to be a part of. “Somehow, the images speak to them,” Dianne says. The Tommy’s charity in the UK revealed the well-meaning but hurtful things people say to women after they’ve suffered a miscarriage as part of a new campaign to raise awareness and money for research.